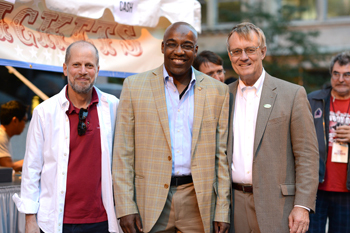 This past Saturday, we continued our 125th Anniversary celebration at the Chicago-Kent Block Party. 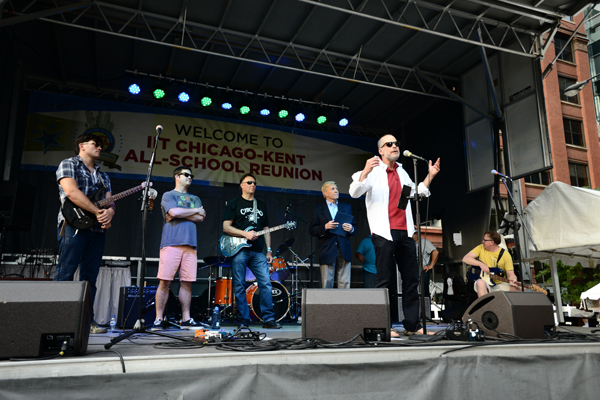 Hundreds of alumni gathered at the corner of Adams and Jefferson to reminisce with their classmates, meet the latest generation of Chicago-Kent students and, in the case of Tim Culbertson, Ed Harris, Bart Lazar, John Locallo and Carlos Vera, rock out on stage. Thank you to all who attended and helped make the Block Party such a success. I want to mention some ways in which you can stay involved with Chicago-Kent as a member of the alumni community. The experience and professional expertise of our Chicago-Kent alumni are a tremendous resource, and both the Society of Women in Law and Solo and Small Practice Incubator are seeking alumni mentors. If you would like to serve as a mentor to current students and/or recent graduates, please email the Alumni Association at alums@kentlaw.iit.edu for more information. Other volunteer roles include hosting a student for dinner during Alumni Student ConneKtions Week, serving as a Moot Court coach, speaking as part of the Young Alumni Council’s CLE and Networking Series, or serving as an Alumni Ambassador with the Chicago-Kent Admissions Office. Our students would benefit greatly, and you should find the experience rewarding. Thank you for your support and I hope to see you at the 125 Alumni of Distinction Dinner on Thursday, November 21st. Each week, we will be showcasing a new set of alumni profiles through a special email campaign set to start this week. We hope your are as proud of these alumni as you are of your own successes in the law and elsewhere. Chicago-Kent's 2013 Centennial speaker Erwin Chemerinsky, founding dean of the University of California Irvine School of Law, will deliver a lecture entitled "Has the Supreme Court Lost Faith in the Courts?" on Monday, October 7 at 3:00 p.m. in the Ogilvie Auditorium. Dean Chermerinsky is one of the leading constitutional scholars in the nation and has argued before the U.S. Supreme Court, as well as many federal courts of appeals. This event is free and open to the public. A wine and cheese reception will follow in the lobby. For more information. Chicago-Kent will hold a Memorial Service for Professor Fred Bosselman on Wednesday, October 9, 2013 at 5:00 p.m. in the Abraham Lincoln Marovitz Coutroom. A reception in the front lobby will follow the service. All are welcome. For more information. On October 10, Chicago-Kent will host the premiere of "The Art of Influence: Breaking Criminal Traditions," a fine art exhibit designed to designed to shed light and promote discussion of the major global human rights issues. The exhibit features 38 pieces from Midwest's most prominent artists, and will be on display on the third floor of Chicago-Kent's main campus until February 2014. For more information. The Alumni Association is currently seeking alumni hosts for the Fall ConneKtions @ Dinner program, which will take place November 4-8, 2013. ConneKtions @ Dinner connects alumni with current students and faculty, adding a personal touch to the Chicago-Kent experience for today’s students. Alumni are invited to host dinners, at no cost to their guests, for a group of students and a couple of faculty members (if you so choose). Gatherings can be as formal or as casual as you desire, and can take place in your home or at a restaurant. Full details and a link to the sign up form can be found here. The deadline to sign up is Friday, October 25. 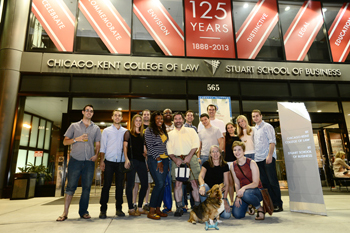 Chicago-Kent's Moot Court team is currently seeking alumni to serve as volunteer coaches to help the team prepare for competitions in October and November. Please contact Colette Kopon or Professor Kent Streseman for more information. The Chicago-Kent chapter of the Society of Women in Law is seeking alumnae to serve as mentors for the 2013-2014 school year. Mentors are not expected to offer employment, circulate resumes, or set up interviews. The Society only asks that mentors help students develop strategies for professional advancement and growth, and provide guidance and personal insights when appropriate or useful to the student. If you are interested in serving as a mentor with the Society of Women in Law, please register online at www.alumni.kentlaw.edu/womeninlaw no later than Friday, October 18. For questions, please email alums@kentlaw.iit.edu. John Mayer, Executive Director of the Center for Computer-Assisted Legal Instruction (CALI), was recently selected as one of the ABA's 2013 Legal Rebels, an award given to change leaders within the legal profession. Mayer was selected for his work with CALI producing online interactive tutorials written by law professors, which he hopes will eliminate the need for textbooks in the legal classroom within the next five years.  Read the ABA's profile of John. Ljubica Popovic ’98 began her career as an assistant State’s Attorney, and then served as staff attorney to Justice Margaret O’Mara Frossard ‘76, First District Appellate Court, and Justice Thomas R. Fitzgerald, Illinois Supreme Court. Currently, Ljubica and fellow Chicago-Kent alumnus, Nick Caputo, have formed Caputo and Popovic P.C., where Ljubica handles a wide variety of cases ranging from real estate and criminal law to employment and contract disputes. In addition to her firm responsibilities, Ljubica serves as an adjunct professor at Chicago-Kent, where she teaches Trial Advocacy, Intensive Trial Advocacy and has taught several semesters of legal writing; Valparaiso Law School, where she teaches Advanced Appellate Advocacy, and Purdue University Calumet, where she teaches undergraduate courses in American Government, Criminal Procedure and Law & Society. Ljubica is currently working towards her Masters in Public Administration at the Illinois Institute ofTechnology, Stuart School of Business. While a student at Chicago-Kent, Ljubica was the two-year recipient of the Michael J. Angerola Trial Advocacy Scholarship, Regional winner of the National Trial Competition (1997) and Semi-National Tournament of Champions Finalist (1998). Ljubica became very passionate about the trial advocacy program while a student, and has continued to give back to the student’s and school through her work as an adjunct professor, volunteer work as a trial advocacy coach and as a donor to the program. She currently lives in Indiana with her husband, Drago, and their three young children. Wednesday, October 9, 2013 | 5:00 p.m. - 7:00 p.m.
Thursday, October 10, 2013 | 5:15 p.m. - 8:15 p.m.
Thursday, October 17, 2013 | 5:30 p.m.
Email rweber1@kentlaw.iit.edu for more information. Thursday, October 24, 2013 | 5:00 p.m. -7:00 p.m.
Friday, October 25, 2013 | 5:00 p.m. -7:00 p.m.
Monday, October 7, 2013 | 3:00 p.m.
Thursday, October 10, 2013 | 3:30 p.m. - 5:00 p.m.
*This event is co-sponsored by the Jack Miller Center and Chicago-Kent's Institute on the Supreme Court of the United States. Chicago-Kent Documentary Film Series on Race Presents "A Class Divided"
Thursday, October 17, 2013 | 6:00 p.m. - 7:30 p.m.
IIT 2013 Darsh Wasan Lecture "Harnessing Knowledge to Meet the Challenge of Climate Change"
Presented by Nobel Peace Prize Laureate Dr. R. K. Pachauri, director general of the Energy and Resources Institute in New Delhi, India. Wednesday, October 23, 2013 | 4:00 p.m.
Thursday, November 20, 2013 | 4:00 p.m.
On Saturday, September 28, IIT Chicago-Kent College of Law hosted the 125th Anniversary Block Party and All-School Reunion. Hundreds of alumni and friends of Chicago-Kent enjoyed delicious food, crisp Lagunitas beer and the musical stylings of alumni bands on a beautiful fall day in Chicago. Thank you to all who attended and made the Block Party such a success!